Learn to create your own nautical-inspired beaded jewellery with this great beginners’ workshop. 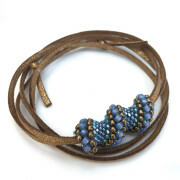 Stitch a beaded bead with seed beads and turn it into a beachy wrap-style bracelet. These fun beaded beads use easy peyote stitch to work beautiful spirals reminiscent of shells. Join experienced tutor Chloe Menage in her sunny Hayling Island studio for an evening of beading and jewellery making. In this class you’ll stitch a beaded bead with seed beads and turn it into a beachy wrap-style bracelet. These fun beaded beads use easy peyote stitch to work beautiful spirals reminiscent of shells. The “Cellini Spiral” is created naturally, thanks to the different sizes of beads used. As you work you will see the spiral developing quite quickly, making it a fun stitch to work with! 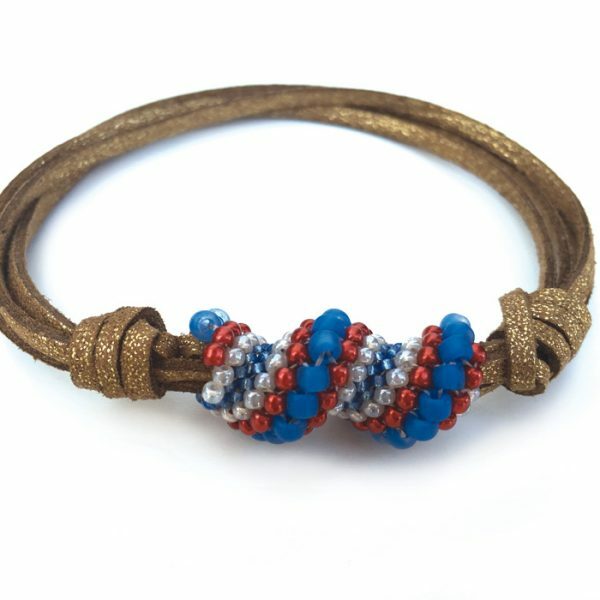 You’ll be shown how to turn your spiral bead into a wrap bracelet or pendant. Suitable for Beginners. Be the first to review “Nautical Bead Bracelet Workshop” Click here to cancel reply.